David Jones was expected to transitioned to TBWA Melbourne. AdNews understands TBWA opted not to participate in the review. AdNews understands David Jones is looking to take various creative capabilites in-house and is on the hunt for a smaller, boutique agency. David Jones has appointed a procurement agency and the pitch is in its early stages, AdNews understands. “We are currently undergoing a review of our creative agencies and have gone to market after an appraisal of our needs to ensure we have options that will suit our business in the future," a David Jones spokesperson told AdNews. It's likely to be a hotly contested account with David Jones a big advertiser in Australia. The media account, thought to be about $25m, is run out of Carat Sydney. 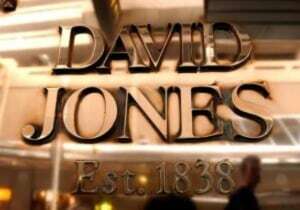 David Jones confirmed in 2016 that after 179 years in Sydney it would uproot its head office and move to Melbourne. The decision has led to a huge staffing shakeup with most of its staff unwilling to relocate from Sydney. TBWA and David Jones have launched a number of big campaigns over the years including the #ItsInYou campaign in 2015, the launch of David Jones Food, a 2017 push starring Karlie Kloss and its Christmas ad for 2017 which followed the story of a gingerbread man. Yesterday, TBWA also resigned from the Foxtel account citing an "exciting new opportunity" which posed a conflict. David Jones is pitching its creative account as the retailer transitions its headquarters down to Melbourne, AdNews can reveal. TBWA Sydney has held the account for five years, winning it from M&C Saatchi back in 2013.